Will the Greek government survive the ‘Northern Macedonia’ crisis? A debate set to decide the fate of the SYRIZA government in Greece will begin in the plenary five hours from now and will end with a confidence vote on Wednesday night (local time). The Conference of Presidents will start deliberating at 12pm sharp, a decision that was made by Prime Minister Alexis Tsipras himself, who initiated procedure with a written request to Parliament President Nikos Voutsis on Sunday. Following protocol, Mr Tsipras announced that he would ask parliament to renew its vote of confidence in the government, rather than make use of constitutional leeway to rule without an explicit majority, Athens News Agency reported. The process for a confidence vote was paramount after coalition party Independent Greeks (ANEL) announced that it was withdrawing from the administration and leader and National Defence Minister Panos Kammenos resigned. Mr Kammenos believes Greece should withdraw from the Prespes Accord, even though FYROM lawmakers ratified the deal under which the country will be renamed “Republic of North Macedonia”. 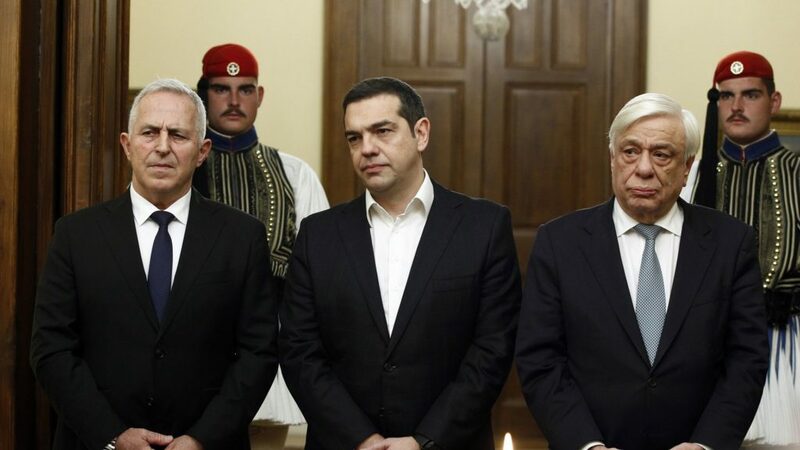 On Monday, Admiral Evangelos Apostolakis, formerly chief of the Hellenic National Defence General Staff, was sworn in before President of the Republic Prokopios Pavlopoulos at the Presidential Mansion, and then took an oath before Archbishop Ieronymos of Athens and all of Greece. Outgoing Minister of Defence Mr Kammenos will hand over the ministry portfolio to Apostolakis today. However, not every ANEL MP objects the name deal. Tourism Minister Elena Kountoura, in an exclusive statement yesterday declared her support to the Prespes Accord. “I clearly support the government to complete its work. I deliberately keep my distance from political games and I will continue my political career with seriousness, responsibility and based on the national interest, as I always did,” she said. “I am visiting China as a member of an official delegation with the view to reaching beneficial agreements for Greece in the fields of agricultural production, transport and tourism. I want to make it clear that I am not negotiating my right to vote according to my conscience. This government has worked very hard on Greece’s final exit from the memoranda and the austerity programmes,” continued Mrs Kountoura’s statement. Along the same lines, Deputy Agricultural Development and Food Minister Vassilis Kokkalis also announced his decision to support the government with a vote of confidence, despite ANEL’s departure from the coalition, but not the Prespes Agreement. Responding to the statements, ANEL party leader Mr Kammenos announced via Twitter that Mrs Kountoura and Mr Kokkalis had both been expelled from ANEL’s parliamentary group. 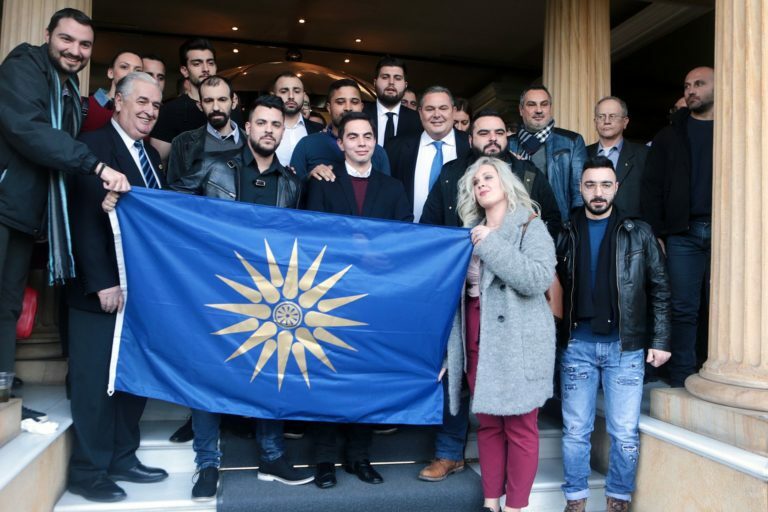 Accusing Kountoura of “trading her vote and the name ‘Macedonia’ for a ministerial chair”, Kammenos said he was ejecting her from ANEL’s parliamentary group, effective immediately. “Vassilis Kokkalis, despite being in a negotiating stage for his vote on the national issue from China, the intention to trade the seat is enough in order to remove him from the Independent Greeks parliamentary group,” Kammenos tweeted. 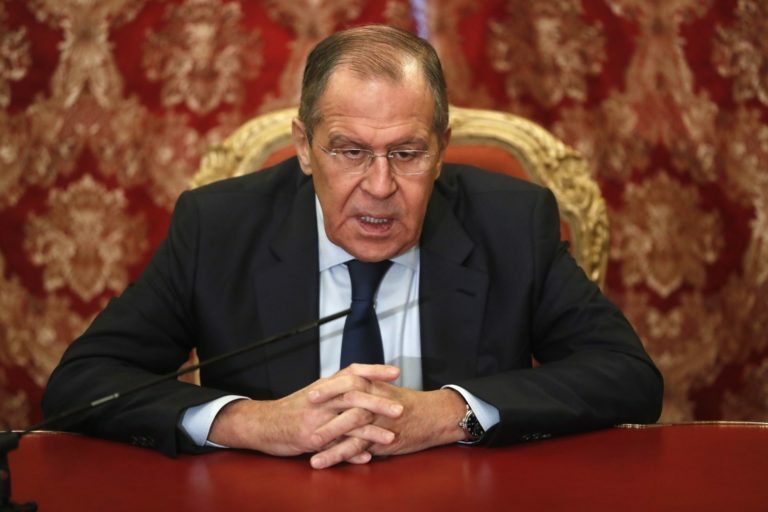 Meanwhile, the Greek Foreign Ministry has received harsh backlash from Russia, regarding the Prespes Accord with the Russian Foreign Ministry clearly dubbing the deal “a Western plot” seeking to taint the NATO alliance with FYROM’s presence. “The decision by Macedonia’s Parliament, which voted in favor of changing the country’s name, has been imposed from outside and does not reflect the will of the people,” the Russian ministry’s statement said adding that Moscow plans to refer the issue to the United Nations Security Council. In another statement the Greek Foreign Ministry dismissed Moscow’s reaction, highlighting the deal as “tantamount to meddling in Greece’s affairs”.